All other adapters like the VBGA-100 (NEW! ), TSSOP-56, LGA/TLGA (12x17) adapters can be purchased additionally. 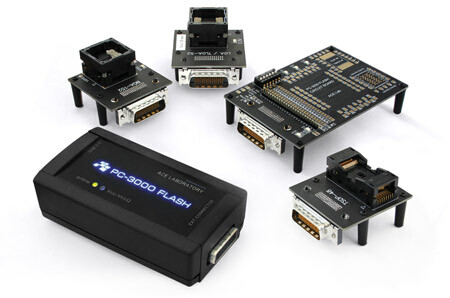 Users of the old generation of the PC-3000 Flash (ver. 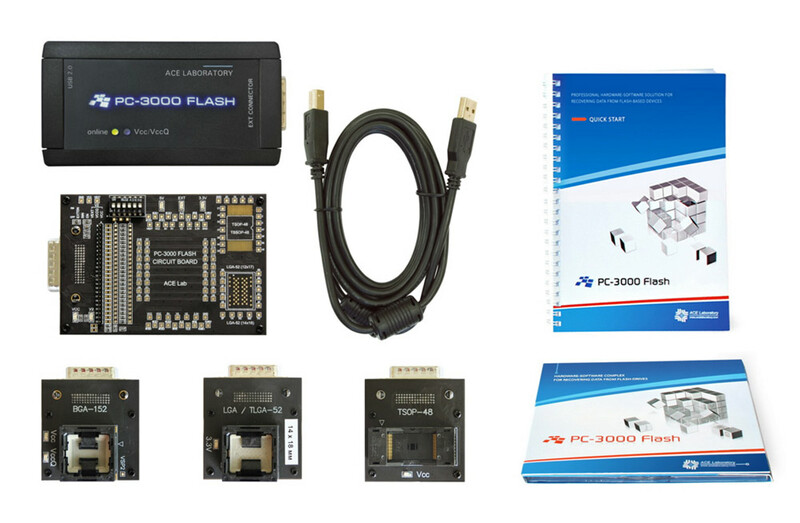 2.0/3.0) can get the new PC-3000 Flash Reader ver. 4.0 within the Upgrade Program. The Upgrade Program policy implies that your old Flash Reader will be destroyed, and the destruction process will be recorded on the video and showed to us. After that, your new device ver. 4.0 will be activated by ACE Lab. The PC-3000 Flash ver. 4.0 will be available for purchasing starting from the 1st of December, 2015. The requests to be put into waiting lists are accepted right now. Please contact your personal sales representative or e-mail us at sales@acelab.ru to learn about the PC-3000 Flash ver. 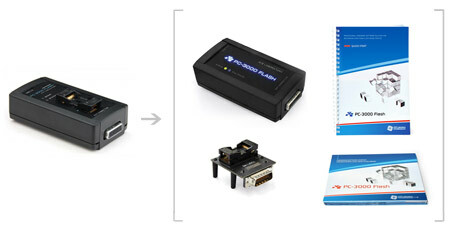 4.0 purchase or about the upgrade of your old PC-3000 Flash 2.0/3.0 to the newest version 4.0. Now you can pay for all the PC-3000 tools, Technical Support and Training not only by wire transfer, but also via credit card: VISA, MASTER CARD.